Note: Some smart phone could only support music switch by + and - button, but not support volume control. Such as, OPPO f1s and R9s. ES-2 could not compatible with Nexus 6P. What does Dual Dynamic Driver mean? Not all earphones with two speakers are called as Dual Dynamic Driver earphone. The Dual Dynamic Driver earphone is not merely embedded with two dynamic drivers in a single earphone; it even uses frequency division technology to output bright treble and deep bass respectively. It has ultra high voice resolution, which can better present the sweet or hoarse voice and other details. In low frequency, the dual dynamic drivers are better than the balanced armature driver in the sense of quantity, which is easier to present the dynamic sense of music. Therefore, the Dual Dynamic Driver earphone not only adds a speaker on the ordinary earphone, accordingly it produces a shock effect comparable to that of the balanced armature driver earphone in the sound quality. 1. 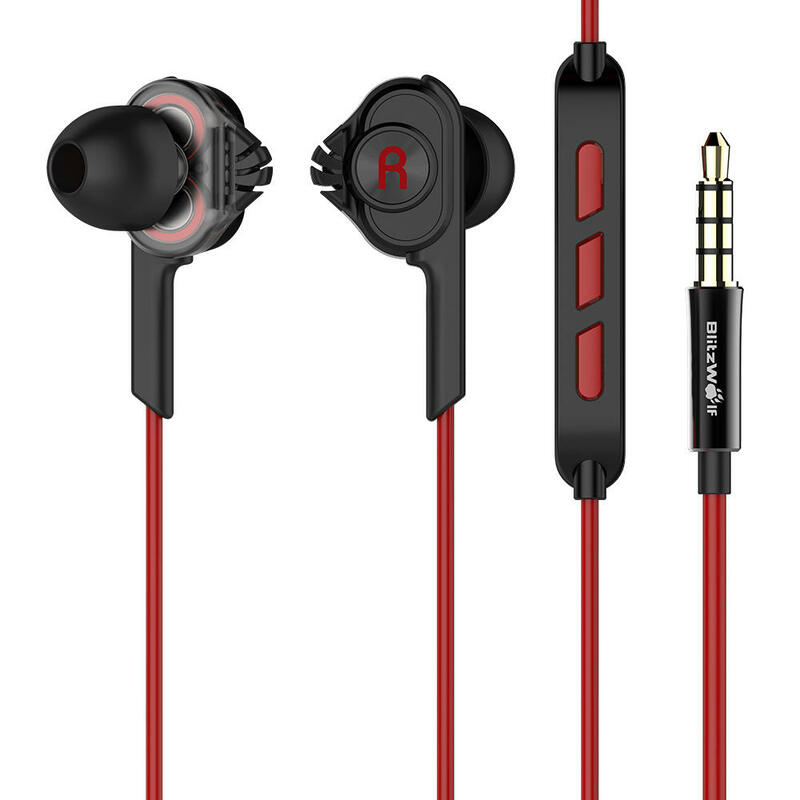 Use 6mm dual dynamic drivers inside each earphone. These drivers combine to enhance frequnecy range and produce a more natural sound. 2. Full bodied audio immersion, dual drivers deliver wider resolution and enhance the medium and high frequency output range. 3. We precisely tuned the ES2 drivers to not only sound great but also deliver long term audio output. 4. Selected TPE wire, it is flexible, rugged and rangle resistant. 5. Wired remote with built-in microphone, have a clear sound. 1. Long-term listening at a high volume is not recommended. 2. When the earphones are out of use, please store it in the clean dry environment provided. 2. Avoid contact with liquid, and avoid extreme temperature or high humidity envronment. Compatible With Smartphones, tablets, portable music players and games consoles.